The chattel house movement is a movement that celebrates the traditional chattel house in all of its forms, both old and new. This movement is a sub-category of the tiny house and small house movements, but it advocates living in chattel house inspired homes or modern chattel houses. Chattel houses were initially designed to be easily dismantled and moved from one area to another. They were also very small and consisted of one or two rooms. In recent times, there has been renewed interest in the chattel house. This is partially due to its place in Barbados’ history. Many people still live in chattel houses and rum shops around Barbados are housed in these structures. Some chattel houses have been converted into business places, using the same structure. Chattel villages, resorts and spas are increasing in Barbados and throughout the Caribbean. Our research has shown that the chattel house is a worthy model that can be modified to create affordable, sturdy and ecologically friendly homes. Modern chattel houses are not mobile, but instead feature concrete foundations and connected lumber. They can be constructed using the same design features as their predecessors. The beauty of the modern chattel house is that it can be designed with a small or large square footage. In areas where land is a precious commodity, smaller homes are definitely better because they do not take up much space. We’ve designed a range of chattel house plans that are less than 1,000 square feet, aesthetically pleasing and structurally sound. One of the beautiful aspects of the chattel house that has been retained in modern homes is the use of ample windows and doors. Encouraging natural light and wind and air circulation are some of the elements that have been utilised. We’ve decided to incorporate modern renewable energy technologies such as solar water heaters and solar photovoltaic systems to encourage self sufficiency and reduce electricity costs. In addition to being an architectural movement with strong Caribbean roots, the chattel house movement is also a social movement. This movement is a solution for those who want to reduce their ecological footprint and simplify their lives. 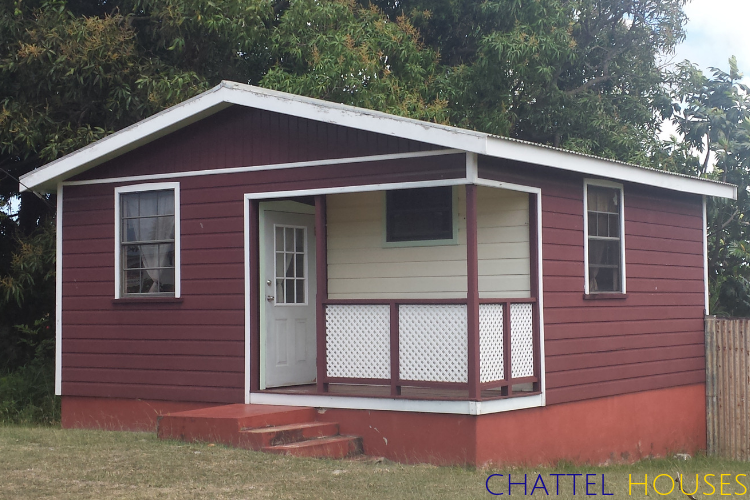 Living the chattel house allows homeowners to downsize their home and live comfortably on a reasonable budget. The dream for the chattel house movement is to create a life that mimicks life in old Barbados. Back then, people grew their own fruit and vegetables, raised chickens for eggs and had a cow or goat for fresh milk. Those were the days when food was free from chemicals and hormones everything was deemed organic. Admittedly, chattel houses are not for everyone because they require the adoption of some minimalist living techniques. The homes are traditionally small and they require smaller furniture and smart living solutions to be successful. But, because they are cheaper to build and easier to maintain, this makes them even more economical and efficient. If you want to join the chattel house movement, we can provide you with a selection of plans that are affordable and customisable. If you recently built a chattel house, we’d love to see your photos. Connect with us on Instagram and share the good news about the Chattel House Movement!